PATNA: Former Bihar deputy chief minister Tejashwi Yadav was on Saturday denied permission to meet his ailing father Lalu Prasad admitted at the Rajendra Institute of Medical Sciences (RIMS) in Ranchi, for coming late, reports said. Tejashwi who was on tour of Jharkhand to address election rallies had taken prior permission to meet his father but he reached the hospital past 5 pm. As per the jail manual, a visitor can meet the prisoner only before the set deadline. Local media reported that the denial of permission to meet his father led to high voltage drama at the hospital with Tejashwi reportedly staying adamant. 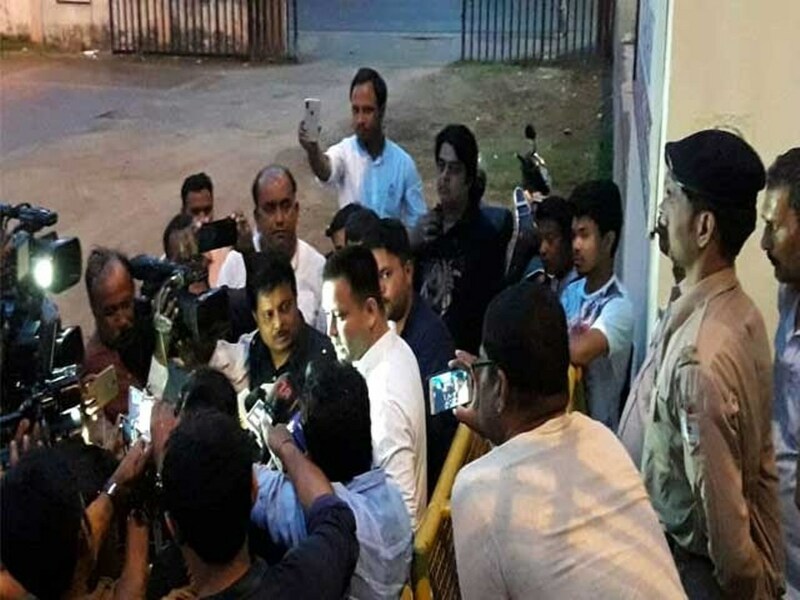 A visibly annoyed leader later tried hard to contact the officials of Birsa Munda Central Jail but failed to connect with him. Eventually, he left the hospital without meeting his father. “Tejashwi had gone to meet his father after a long time but was denied permission for this. The incident reflects the dictatorial and inhumane approach of the government,” RJD vice-president Shivanand Tiwari said in a written statement. “A son can’t meet his father even on the scheduled day. How strange!” Tiwari wondered. The RJD president is currently undergoing treatment at the hospital under judicial custody.